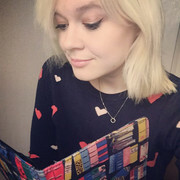 Hello Holly, a massive, bookish welcome to Bookaholic Confessions! Thank you so much for taking part in this interview. Please could you kick things off by introducing yourself? Hi Holly, and thanks so much for having me on your fab blog! Many things about my life feel, frankly, quite unbelievable to me. Somehow, I’m 35, married, and mummy to a little boy and a dog. I’m not at all sure how that happened. I live in Bedford and when I’m not writing or looking after any of the aforementioned members of my family, you’ll find me reading or practising yoga. 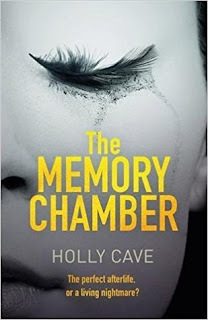 I absolutely LOVED your debut novel, The Memory Chamber (released 22nd Feb with Quercus). Please could you tell us a little bit about it? Thank you! The Memory Chamber is set in a London not that different to the one we see today, except that the profession of our main character, Isobel, is to create artificial heavens for people. By identifying and arranging her clients’ favourite memories, she can ensure they’ll have the perfect afterlife… or can she? As the story opens, we see Isobel falling in love with one of her new, terminally-ill clients, Jarek. 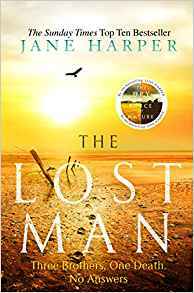 This brief but passionate relationship will go on to make her question everything she knows, as Jarek’s wife is found dead and she embarks on a battle to prove him innocent. One of my favourite things about The Memory Chamber was the fascinating concept behind it. How did you come up with the idea that people would one day be able to create their own ‘heaven’? I’d been thinking for several months that I wanted to write a story that dealt with memory and identity in a speculative fiction setting – what might one day be possible? Then, one day, I was walking my dog in the fields. It was a gorgeous autumn day, the sun was shining, and I was picking blackberries from the hedgerows. I found myself thinking ‘this is heaven’. And by the end of that walk, I had the character of Isobel and the idea that she could design heavens for people using their memories. How did you go about doing any relevant research for the novel? Many of the ideas in the book are based on real research and theories – because I’m a science writer by trade, I’m used to doing this kind of digging! I did a lot of research into the science of memories and consciousness by reading articles and chatting to scientists. I didn’t want the book to be ‘science-y’ and I think to do that, you have to completely understand and believe in the concept. Only then can it fall comfortably into the background and you can write about it in a light-fingered way, which I hope I did. How long did it take you to write The Memory Chamber? I started writing it in Spring 2015 and it came quite quickly. I finished it during NaNoWriMo that October (which I would highly recommend to any writers trying to nail that first draft). But I’d spent several months thinking about it before starting to write, and then the inevitable edits with my agent and editor followed. How does it feel to have your debut novel released into the big, wide world? Phenomenal and phenomenally scary. I never dared dream it might happen and yet here I am. And as wonderful as it is, I think being a debut author is an existential test. Putting yourself and your writing out there is at once terrifying and empowering. If you were creating your own Heaven, do you have any special memories that you would want included? I would drive Isobel crazy, because I have the most terrible memory! But memories of the people I’ve loved and lost, and the places I’ve visited would form most of it. Now I’ve had my son, I really don’t know how I’d choose which moments to ‘keep’ forever because every day is so precious. But I’d have to feature the simple pleasures of picking blackberries on autumn walks in the sunshine, and curled up on the sofa, surrounded by candles, with a good book! What has been your favourite read of 2018 so far? I think it must be Chloe Benjamin’s The Immortalists. The writing is to die for, and it asks the ultimate of ‘what if’ question: How would you choose to live your life if you knew when you would die? And finally, what are you up to at the moment? I’ve just finished the first draft of my next book, and I’m still not quite at the stage where I can describe it effectively! The same day I sent it off to my editor, I opened a brand-new notebook and started sketching out my ideas for the next one. Hello, my name is Holly and I’m a writeaholic. 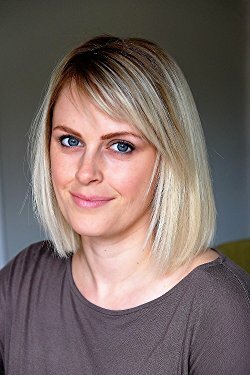 A HUGE thank you to Holly for taking the time to to answer my questions.